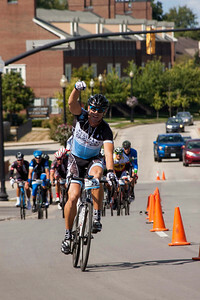 If you were able to attend the Fondo back in September you no doubt have some great memories. The morning started out chilly, but turned into a beautiful sunny Indiana day. Perfect conditions were only enhanced by great roads, fully stocked rest areas, incredible volunteers, live music and freely flowing beer! We had an elite group of 25 riders finish the 100 mile ride in under 4 hours. This is the fastest 100 mile open road ride in the country! Congratulations to those athletes that completed this challenge. For those that took in the sites, the pace was relaxed and pleasurable. 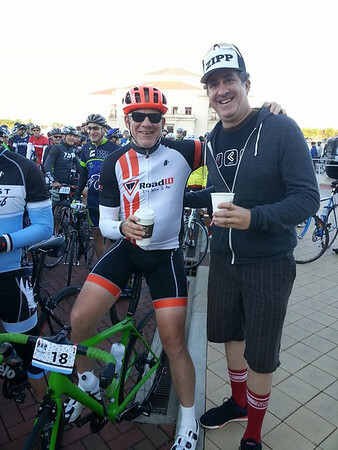 Join ing the ride in 2015 was former Pro Cyclist Bob "BOBKE" Roll. You may recognize Bobke from his many years of doing television commentary during the Tour de France with Phil Ligget and Paul Sherwen and Christian Vande Velde. Bob rode professionally on the first US based cycling team in the Tour de France, 7 Eleven. Our vision is building a happier and healthier world through cycling. Matt and Chris Tanner founded the Rollfast Gran Fondo with the objective of sharing their passion for riding bikes in arguably one of the prettiest landscapes in the Mid-West. The Rollfast Gran Fondo has three ride options to suit all skill levels and features a Start/Finish venue at the beautiful Carmel City Center.